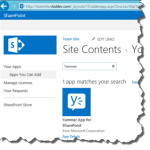 As you all probably heard by now, we can finally integrate Yammer into SharePoint 2013 on Premise. You can download the procedure here: http://www.microsoft.com/en-us/download/details.aspx?id=39357. 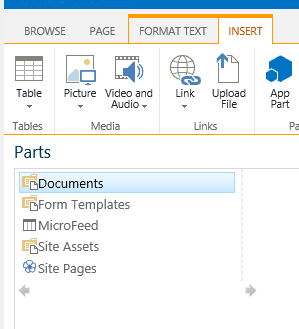 However, it’s pretty delicate, since you will have to modify files in the SharePoint Core Files. Anyways, the procedure to make it work on the users, MySites works, however the procedure to put it on a “Team Site”. Why Would you want to do that? For example, if you have a group called “SharePoint-IT”, you could post the group newsfeed directly in their Team Site. Here is the procedure that Microsoft gives to put the Yammer Group on your Team Site. In the ribbon, click Page, then click Edit. Click Add. The app part is now added to the team site. 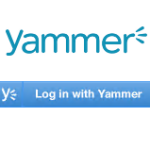 Click Login to login to the app using your Yammer account. 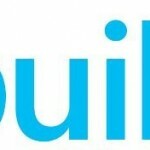 Choose the Yammer group feed as the feed type from the configuration page. Enter the Group Feed ID and save the configuration. The problem is that, when you follow it step by step, you try to add the “App Part” … and it’s not there! So, what’s missing from the procedure? Kind of an easy thing, but you need to make sure that you add the app to the site collection first. So, first thing, make sure you add it, like you did for the newsfeed. After that, when you go to add your app part, you now see the Yammer Newsfeed! Now, only thing that’s left is adding it to your page and then selecting “group feed” so you can connect it to your Team’s Group on Yammer.